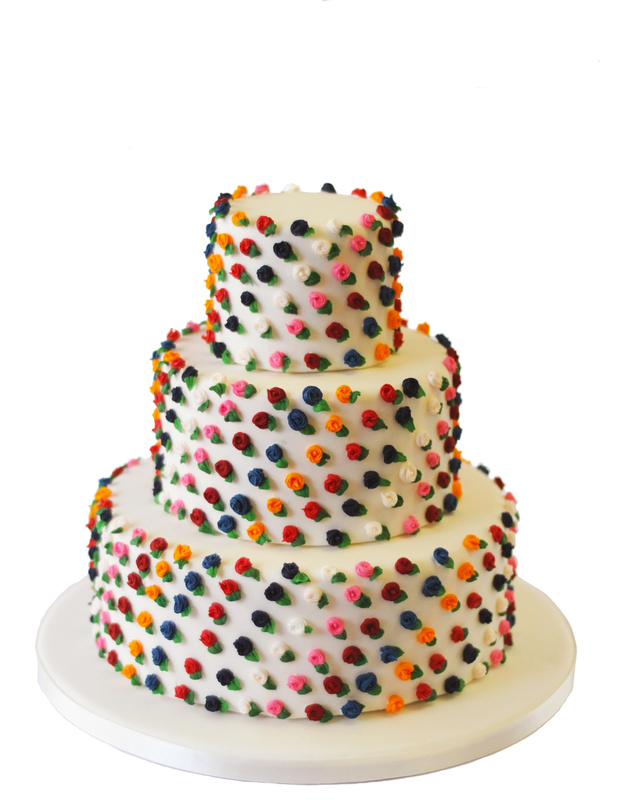 What could be more romantic than a wedding cake covered with hundreds of perfectly hand-piped miniature roses? Bright, fun and pretty gorgeous, the delicate little sugar roses are individually made by hand and painstakingly placed on to complete the diagonal pattern. 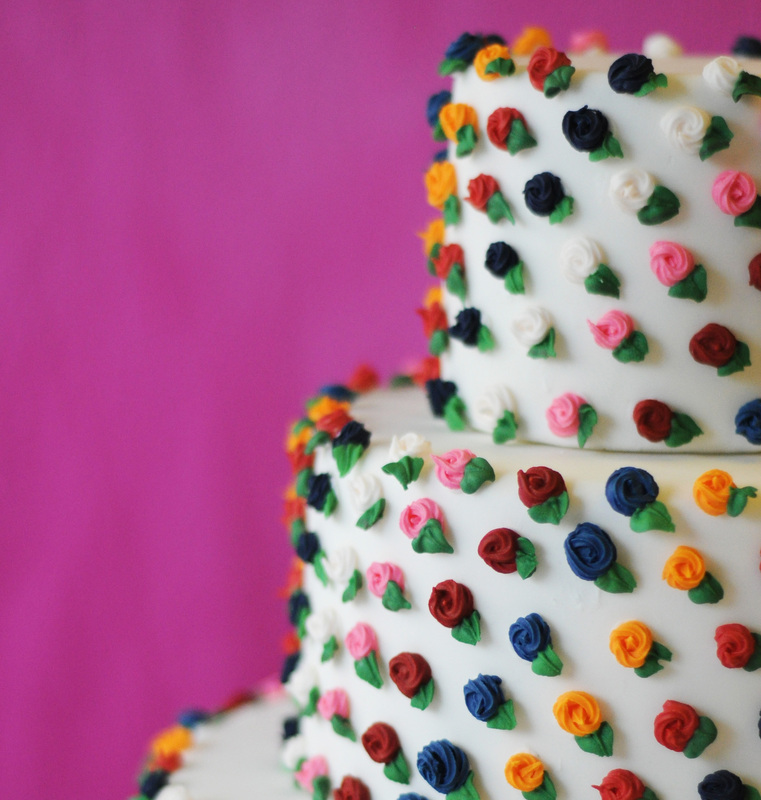 Totally customisable, we can colour match the roses to any colour you choose – and we bake amazing cakes of all sorts of recipes including a classic Genoese sponge, to a more adventurous chocolate milkshake cake with a very grown up mascarpone filling.